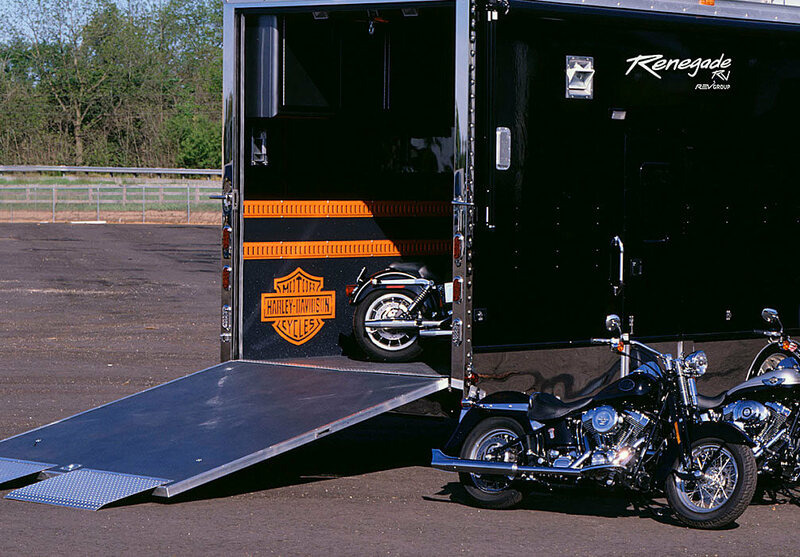 True renegades know how to ramp up on extreme fun, and it all starts with a garage to stow the toughest toys. 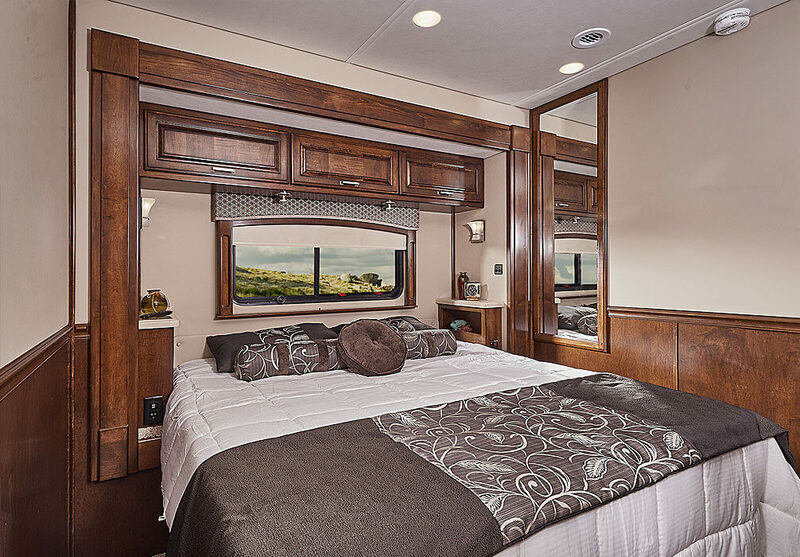 Say hello to the Renegade Classic motorhome toy hauler, the industry’s most revered semi motorhome with garage. As a true renegade, you expect a lot from your garage, which is why we let you customize everything — the number of D-rings, the tread on the floor, the chrome on the walls, the cabinets for your gear. And the customizations don’t stop there. 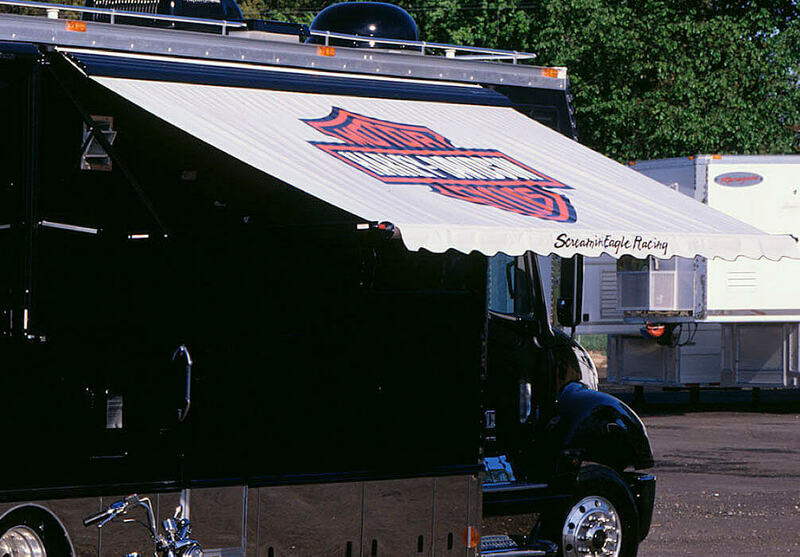 Built on the biggest, baddest chassis names, you name the epic comforts, too. 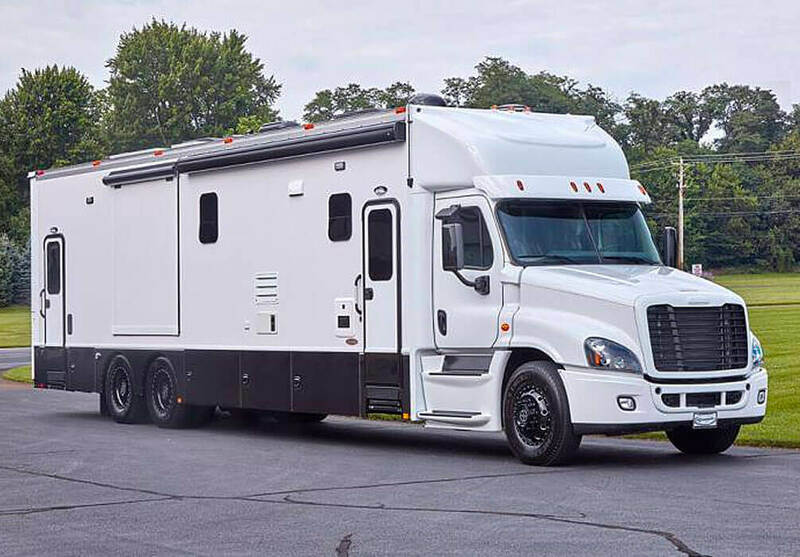 Available in six floorplans with 90-inch ceiling heights and a number of sleeping configurations, you decide if your Renegade toy hauler is built on the Freightliner M2, the Freightliner Cascadia, a tandem-axle Volvo chassis or even a customer-supplied chassis. Then, turn your attention to the interior, where the list of standards are generous and the options even more visionary. 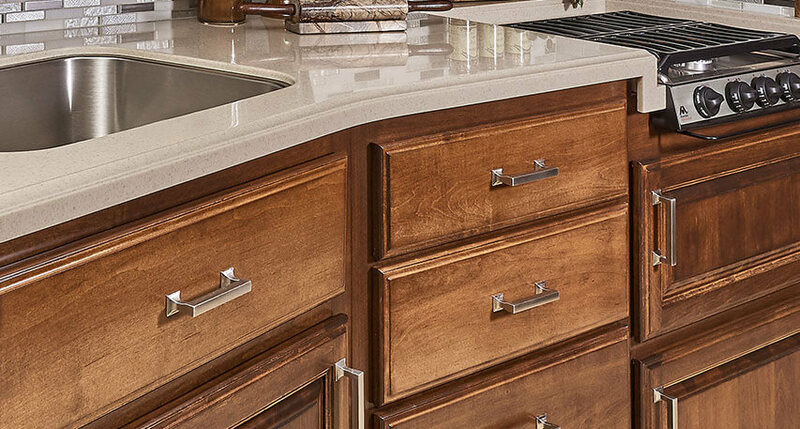 Polished or solid-surface countertops? 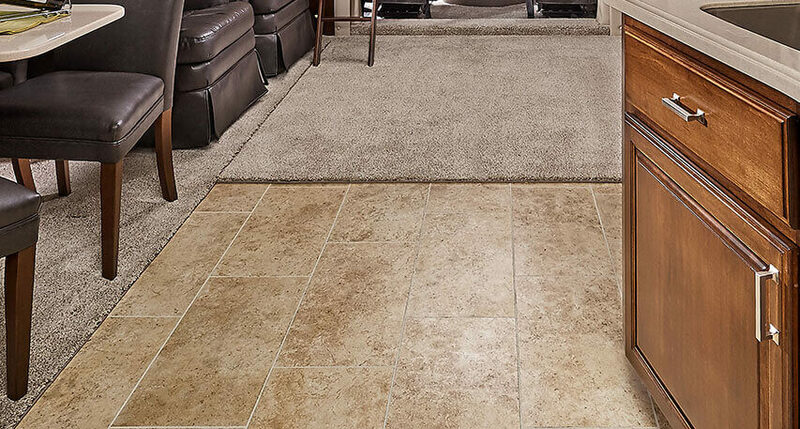 Hardwood flooring throughout for ease or heated porcelain tile because you can. 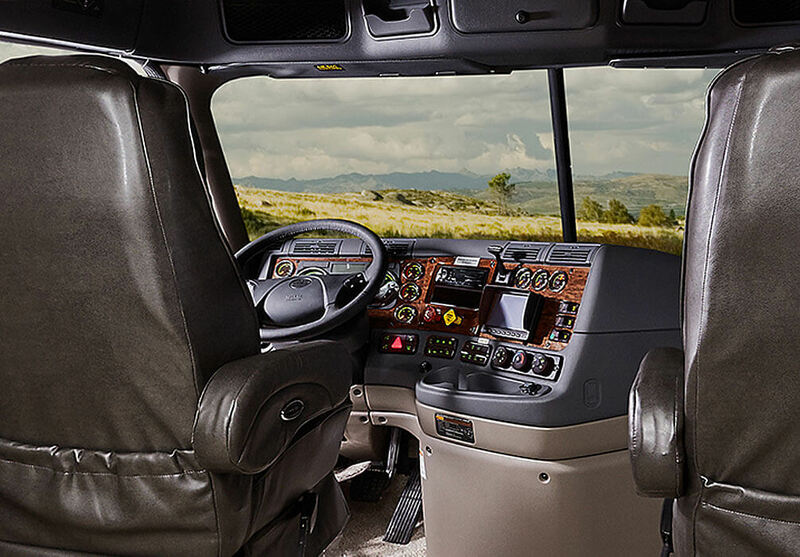 How will you turn on-the-road travel into off-road comfort? 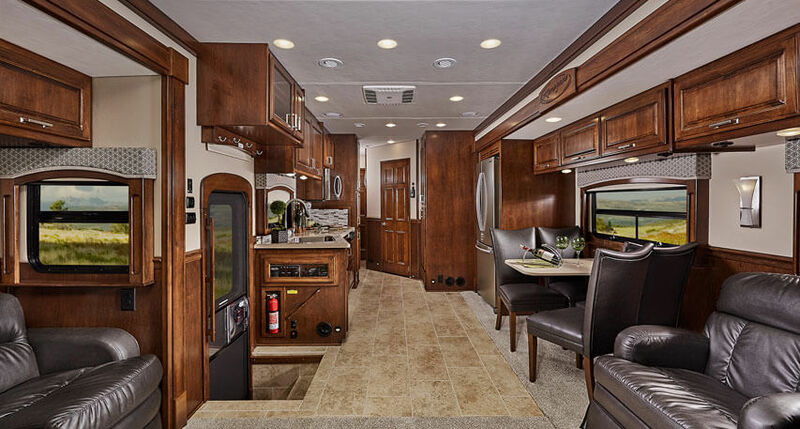 With the motorhome garage ranging in lengths of 9 to 16 feet, there’s room for ATVs, motorcycles, side-by-sides or your race car. So expand your journey to new roads. 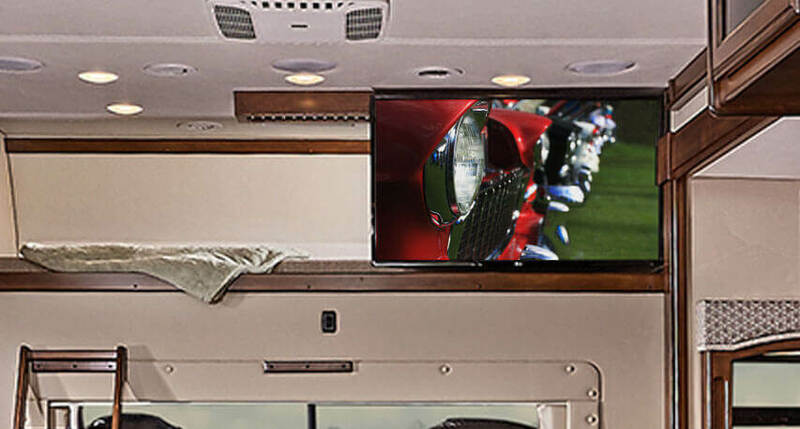 The Classic offers interior and exterior entertainment packages, featuring 32” LED TVs so you can unwind inside or out. 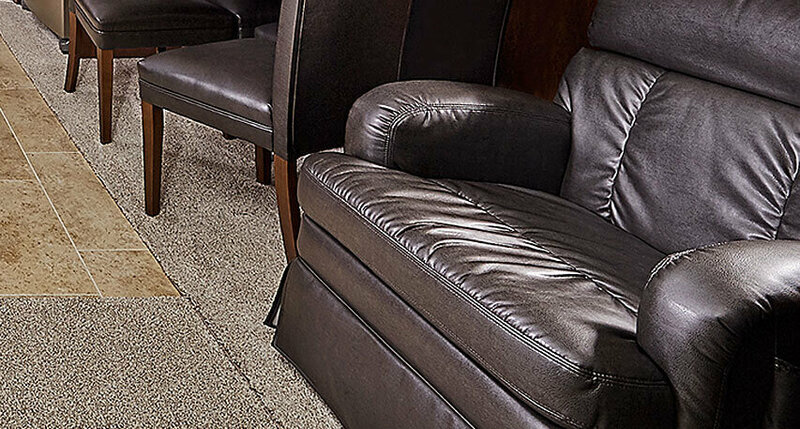 The Classic’s Ultraleather seating package delivers good looks and serious durability that’s built for relaxing after a long day on the track. 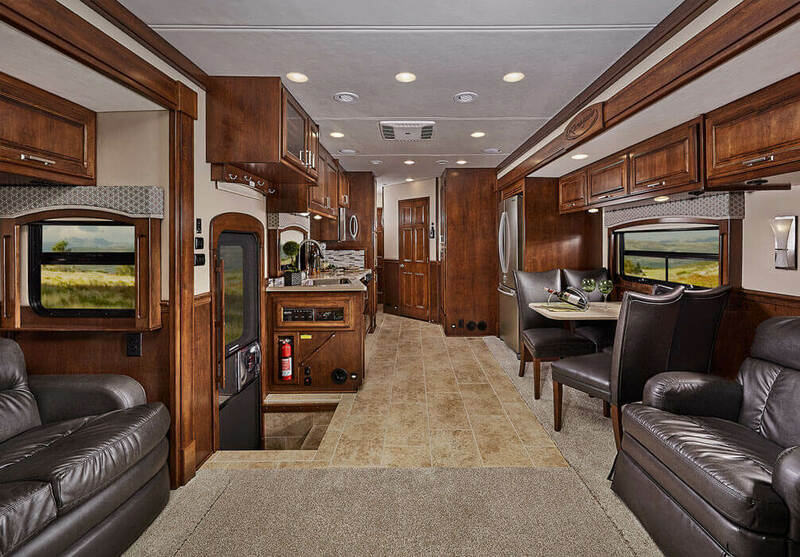 With the option of heated porcelain tiles that take the edge off chilly mornings, or the timeless look of hardwood, the Classic has flooring options in step with how you travel. No need to decide what stays and what goes. 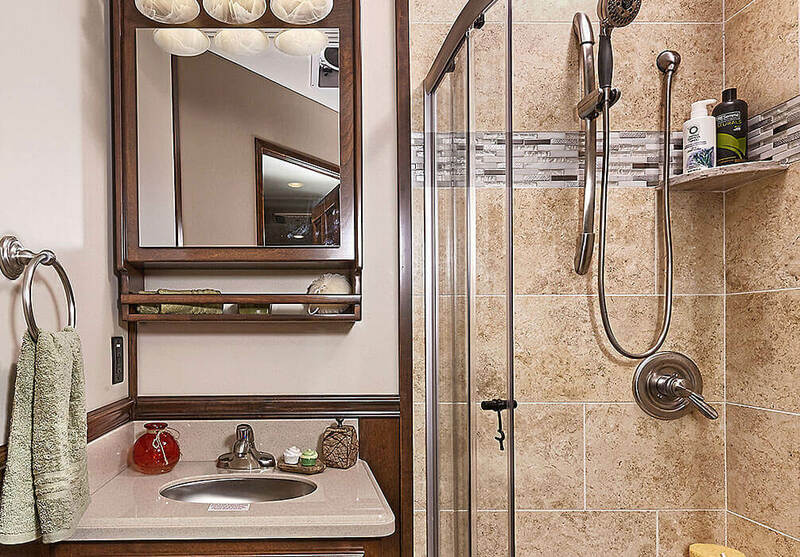 With the Classic’s hardwood cabinetry, including cabinet stiles, you’ll have room for it all. Choose from maple or hickory wood or cherry stain. 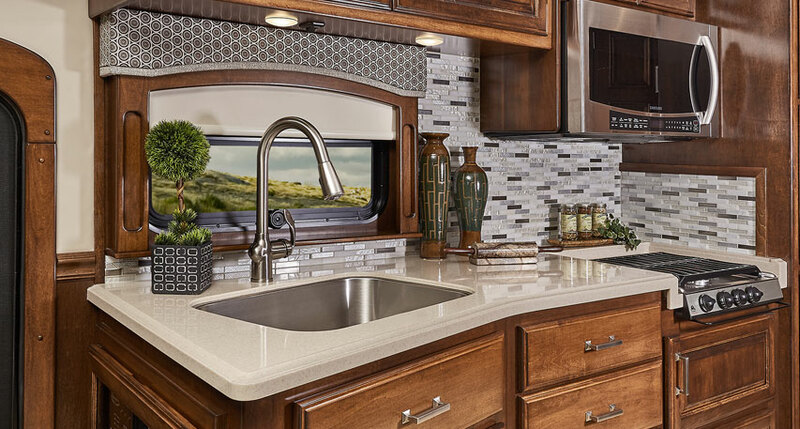 Whether you appreciate an outdoor barbecue grill or stainless-steel appliances, you decide what’s on the menu thanks to your own custom Classic galley.